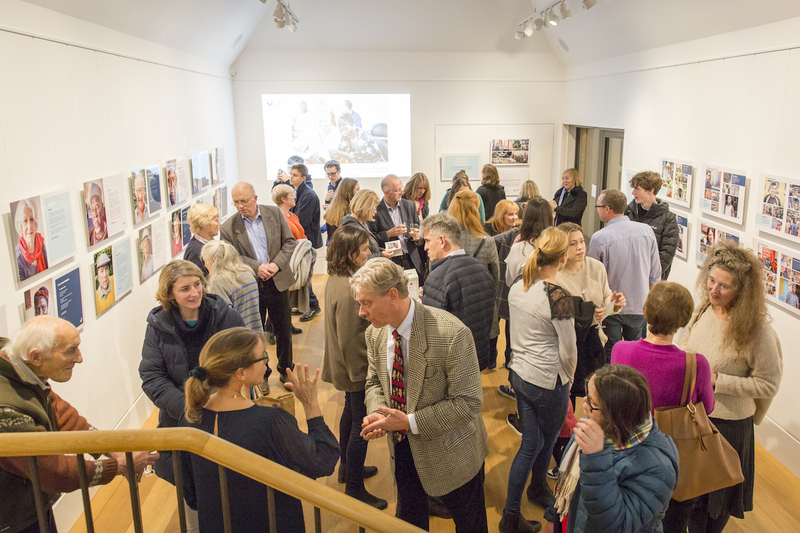 An exhibition celebrating the work of a groundbreaking new local charity, Thriving Through Venture, opens on 5th December at the White Horse Gallery in Marlborough, Wiltshire. ‘From Marlborough to Gunjur: Changing Young People’s Lives’ looks back on the first year of achievements by TTV, which was set up to help young people prepare for life beyond school. The exhibition includes stunning photographic portraits, heartwarming life stories and a local business study, reflecting the three main projects that TTV’s teenagers undertook in 2018. TTV is the brainchild of Caro Strover, an educational psychologist from Ramsbury, who believes there is an urgent need to develop young people’s resilience and confidence as they prepare to take their places in the adult world. One in four teenagers in Britain is currently being referred to mental health services, fuelling fears of a ‘snowflake’ generation ill-equipped for the workplace. In August 2018, a group of ten young people travelled with TTV to Gunjur, in the Gambia, which is twinned with Marlborough in Wiltshire. They were drawn from a mixture of local state and private schools in Wiltshire and Swindon. The photography group, under the guidance of local fine art photographer Hilary Stock, took portraits of professionals in the Gunjur community, including a midwife and a bee keeper, matching them with equivalent portraits that they had taken in Marlborough. The storytelling group, mentored by Colin Heber-Percy, a local vicar and screenwriter, heard and recorded the life stories of various interesting figures within the Gunjur community, including the Imam and village chief. These will be on display at the exhibition, along with the stories of local people they met in Marlborough. The business group, guided by TTV’s co-director and Trustee, Dr Nick Maurice OBE, investigated the export opportunities for The Gambia’s mango industry. With the support of Fair Trade and the Marlborough branch of Tesco, they drew up a business plan that outlines the potential for exporting mangos to West Africa and to Europe. It’s currently being read by potential investors and business developers and will hopefully prove instrumental in improving the lives of those in Gunjur through its development of the mango industry. The show runs at the White Horse Gallery in Marlborough throughout December. For further information, visit ttventure.org or call Caro Strover on 07973 185429.